Calling all photographers: the biggest global photowalk returns to TRIUMF on July 26th, 2018! This is your chance to snap exclusive photos of Canada's particle accelerator centre as it celebrates its 50th anniversary. TRIUMF is thrilled to be joining 15 other world-leading science labs across the globe for the 2018 edition of the Global Physics Photowalk, sponsored by the Interactions Collaboration and supported by the Royal Photographic Society. On July 26th, 2018, TRIUMF will welcome twenty amateur and professional photographers on an exclusive, two-hour behind-the-scenes tour of its facility as part of the international competition (of which participants from the TRIUMF event have won top global honours in past years). 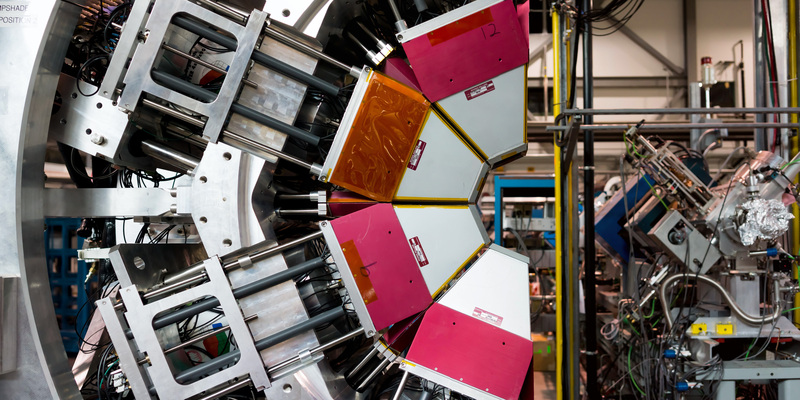 Participating photographers will be invited on a special site tour – including areas typically not accessible to the public – to snap images of TRIUMF’s facilities, community, and the underpinnings of its world-class multidisciplinary research programs. Participants in the 2018 TRIUMF Photowalk will have the chance to submit photos taken during the event to the global photo contest. TRIUMF will convene a jury to choose the best photos from the 2018 TRIUMF Photowalk, and feature them on its website, as well as on an international Flickr page. In addition, TRIUMF will forward the top three photos to the worldwide Global Physics Photowalk competition, organized by the Interactions Collaboration. The event is free of charge and will run from 10 a.m. to 12:00 p.m. PT on July 26, 2018. 1) All participants must read and acknowledge the 2018 TRIUMF Photowalk Rules and Regulations, here. 2) To register, photographers are asked to submit their name, email, and a link showing examples of their work (e.g. online portfolio, Flickr account, Instagram account, etc.). 3) Confirmed participants will receive a confirmation email from TRIUMF. We will maintain a waiting list to fill in any cancellations. 4) Please note: Those who participated in the 2015 TRIUMF Photowalk are not eligible for the 2018 event. TRIUMF employees, students, users, and their families are also ineligible. If you have questions about the 2018 TRIUMF Photowalk, please send an email to sshepherd@ ucw88 da ga www.altmustech.com or call 604-222-7656. For more information on the Global Physics Photowalk, please visit the Interactions page here; past TRIUMF Photowalk images can be found here. To keep tabs on ongoing Photowalk activities and the Photowalk feed, make sure to follow #PhysPics18 on Instagram and Twitter. The top three photos from the 2018 TRIUMF Photowalk and the other participating laboratories will be sent to the global Interactions Collaboration 2018 Physics Photowalk -- to be announced in August. Winners of the global contest will be announced later in the year. The Interactions Collaboration seeks to support the international science of particle physics and to set visible footprints for peaceful collaboration across all borders. Members of the Interactions collaboration represent the world's particle physics laboratories and institutions in Europe, North America, Asia and Australia, with funding provided by science funding agencies from many nations. The collaboration also developed and maintains the ucw88 da ga www.darkmatterday.com website. The Royal Photographic Society is a registered charity, supported by its 11,600 members. Founded in 1853, to promote the art and science of photography, its objectives today are to educate members of the public, promote the highest standards, and to encourage the public appreciation of photography. It does this through public events and activities, exhibitions, and its educational activities.